We want to wish you a very Special Merry Christmas from Budapest this year. We absolutely love the Christmas Season and are excited about this year, our 18th, Christmas here in Budapest. Well, we knew this day would eventually come. For the first time ever we will not have our son’s Nathan and Ryan with us for Christmas. They will be with their wives families this year. We are happy for them but at the same time we are trying not to be sad. Budapest during the Christmas Season is amazingly beautiful. The city is all lit up with lights on the streets, people everywhere walking with their families, people eating “outside at tables” and often there is snow on the ground. It’s also usually very cold outside; well cold for us as it will usually be around 25 degrees. This year has been another wonderful year for us in doing what we feel God has called us to do. Sometimes we are more amazed than anyone that we are now finishing our 32nd year as missionaries. We love doing what we do. Thank you for helping us this. We will enjoy our Christmas with our two girls’ Alexandra and Audrianna who are still with us here in Budapest and we never take for granted every day we still have them with us here. 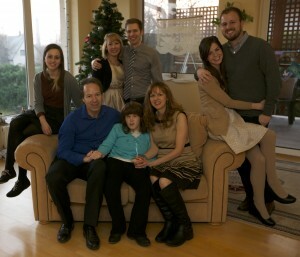 Merry Christmas from your Missionaries here in Eastern Europe. Have a wonderful CHRISTMAS SEASON . . . From Budapest . . . Celebrating the Birth of Christ during this Special Season.